Manchester United’s Champions League Round of 16 1st leg clash against La Liga giants Sevilla ended in a 0-0 draw at the Ramón Sánchez Pizjuán Stadium last night. Red Devils’ boss Jose Mourinho was particularly pleased with one player’s performance, who was none other than substitute Paul Pogba. The Frenchman was left out of the playing XI, but entered the field just 17 minutes after kick-off, when Ander Herrera was forced off the pitch due to a hamstring injury. The Special One had claimed that he had benched the former Juventus star due to ‘the midfielder creating doubt by making himself unavailable for United’s FA Cup fixture against Huddersfield last Saturday’. 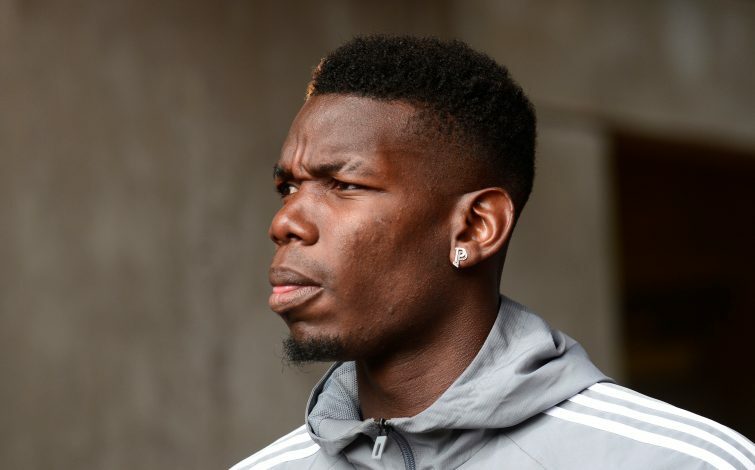 However, Pogba’s performance against the Spanish club did attract a round of applause from his manager, but it didn’t stop the France international from posting a picture of himself warming up after the match along with a ‘cryptic’ message that read: ‘God’s plan’. Meanwhile, the Portuguese tactician lauded his star player after the game, by stating: “You know in my pre-match interview with BT Sport in four questions I had three about Paul and Paul was not even playing. That’s a bit strange. And I think respecting you and your work, and I understand your question. “But if I was one of you I would ask if the Manchester United manager agrees that Scott McTominay had a fantastic performance and my answer would be yes he had a fantastic performance. He looked a senior player, he looked a player with great maturity, with tactical sense, with a sense of responsibility, good in possession, good in the pressing. “I think Scott McTominay looked a man with dozens and dozens of matches in the Champions League when this is only the second one. But I also answer your question. “I think Paul made a big effort to try to give the team what I ask the team. I started with Ander and Scott, I think a fantastic player like Banega wasn’t [allowed to be fantastic], because he didn’t have the space to be the Banega the world of football admires. “And Paul replaced Ander. He tried to bring to the game the same kind of qualities, plus he has security with the ball. Of course, he lost a couple of possessions, but he gave us also stability – because we had a good percentage of ball possession for the way we play a match away from home against a good team like Sevilla.